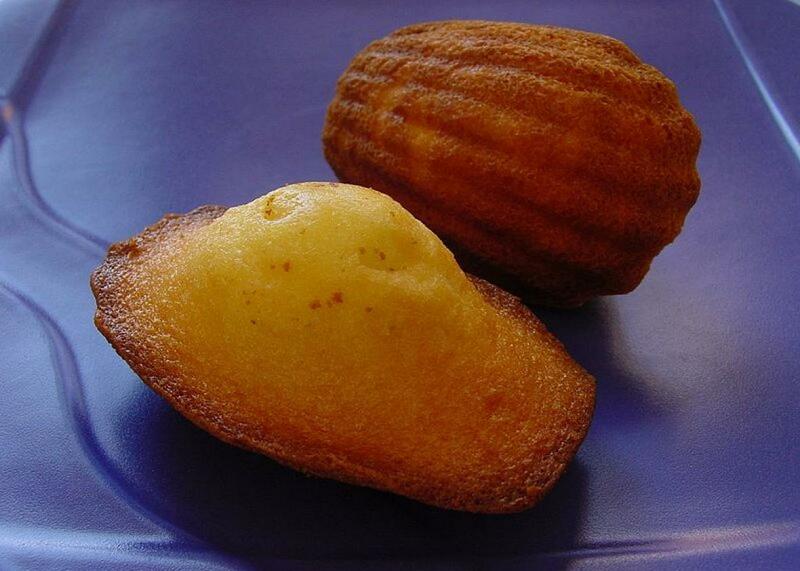 Proust's madeleine was originally toast, the Guardian reports: Slate found an early draft featuring yet another baked good. Aside from Eve’s apple and Persephone’s pomegranate, there are few edibles in literature more famous than the tea-drenched madeleine that awakens Proust’s memory of childhood in Remembrance of Things Past. Except, as the Guardian recently noted, a handwritten first draft of the book reveals that the original delicate finger-sized cake was not a delicate finger-sized cake at all. It was … toast. Bread that pops out of a toaster. Please take a moment to revise your vision of the “little scallop shell pastry, so richly sensual under its severe, religious fold,” its sopped morsels scented with tisane and dispersing already into nothingness, like our tethers to the past. That pastry is a Pastry of Lies. “The madeleine cakes that Marcel Proust made famous as the trigger for nostalgia in his book might have actually started out as toasted bread, according to draft manuscripts to be published in France this week,” reports the Guardian. In a second manuscript, Proust allegedly changed the toast to a biscotto, ascending ever-so-slowly up the sophistication hierarchy of baked goods. By the third draft, he had reached the top of the ladder and could wax lyrical on his Madeleine of Mendacity. And suddenly the memory revealed itself. The taste was that of the little portion-controlled individual pack of dunkaroos which on Sunday mornings at Combray … when I went to say good morning to her in her bedroom, my aunt Leonie used to give me, dipping each cookie first in her own detachable packet of vanilla or funfetti-flavored icing …. and the whole of Combray and its surroundings, taking shape and solidity, sprang into being, town and garden alike, from my factory-sealed, FDA-regulated pack of honey graham dunkaroos. Great literature! Who says it can’t nourish the soul?